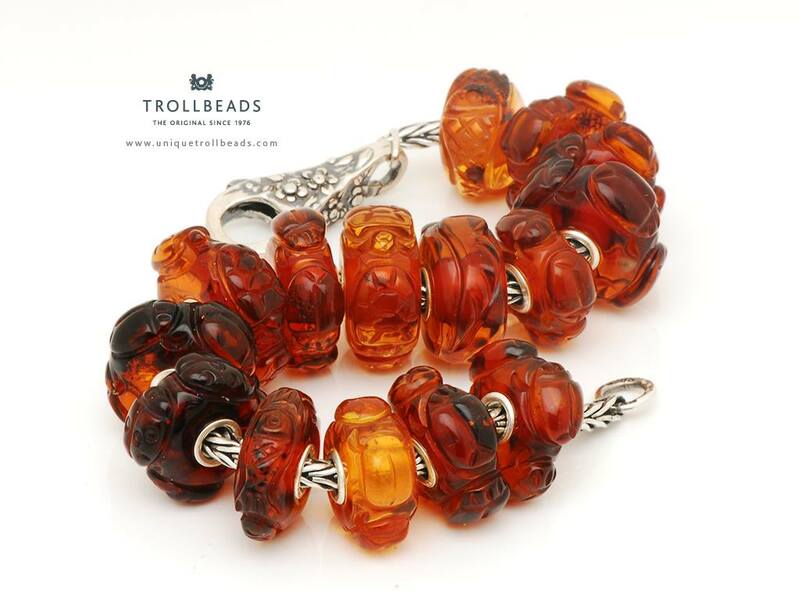 More exciting news comes today regarding Trollbeads Carved Ambers, which I posted a first glimpse of a few weeks ago. Image courtesy of Trollbeads Heaven – please do not reproduce without crediting. Initially, these beads were released in Germany, and limited to one hundred. These were regular size beads and came in a variety of designs including Roses, Ladybirds, Turtles and Scarabs. The Scarabs were the most common, with the Roses being rarer. Next to receive stock of these beads were the US. The US appeared to receive two types, the regular size bead and also some Giant beads. The US also received a Horse Shoe design in their batches. These regular sized Carved Ambers have now arrived in the UK. Trollbeads Heaven – http://www.uniquebeadstore.co.uk – are the first retailer to receive stock and from what I understand, they have received half of the allocation for the UK. The retail price of these beads will be £62 each. Trollbeads Heaven have announced that they will be hiding them at various secret times in different places around their website, to try to give everyone a better chance of getting one and to avoid the mad rush. As always, as and when I become aware of which other retailers have received stock, I will alert my readers to this.